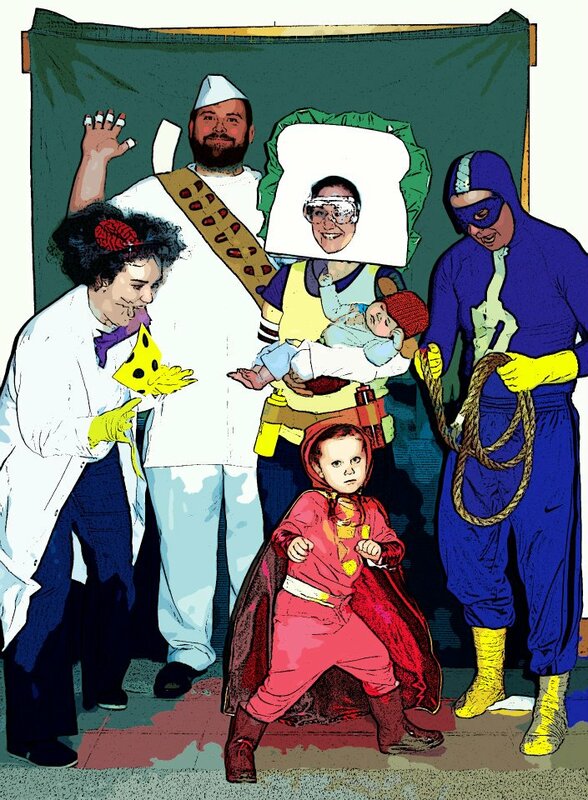 I’m sure I’ll be back to add a ton more photos eventually (and maybe some costume-making details), but I wanted to show our family’s WordGirl costumes, made for Jillian’s final costume party, Superheroes and Villains. We wore ours again for Halloween, too. Would you let a giant sandwich head go to waste? I’d like to state for the record that we kind of rocked this group effort.